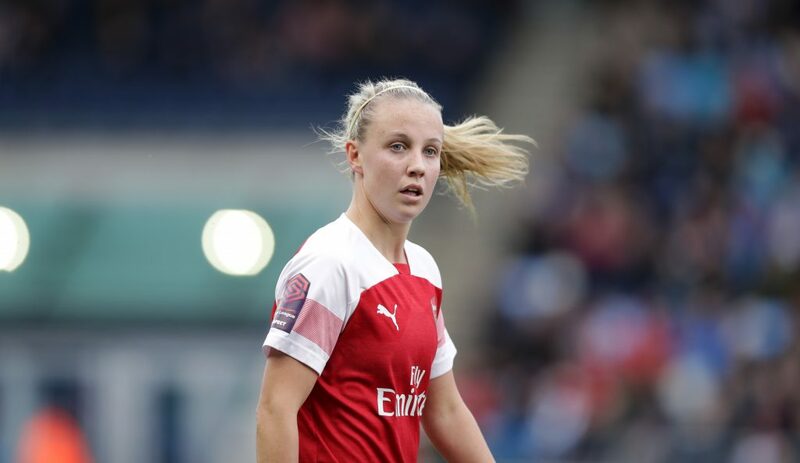 Arsenal scored five at Liverpool in going top of the FAWSL, Bristol City’s Lucy Graham scored from distance for a hard-fought victory over Everton. Arsenal struck a quickfire brace midway through each half in a 5-1 result at Liverpool, which saw them climb above Manchester City with a game still in hand. 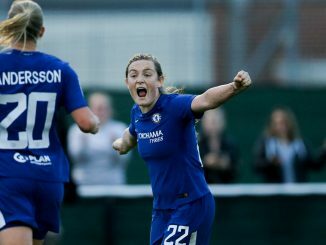 Kim Little turned in a Katie McCabe’s cross and Beth Mead’s far post finish from a Vivianne Miedema delivery squeezed past Anke Preuss. Mead got her second when her cross flew right in (#CROT!) and Dominique Bloodworth then headed home number four. 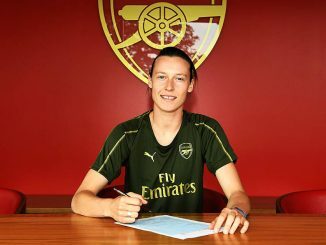 Courtney Sweetman-Kirk replied from the spot before Miedema added another to her Gunners’ tally. 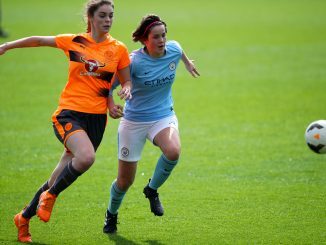 A Lucy Graham rocket was the difference as Bristol City edged Everton 1-0 but the visitors came desperately close to equalising several times in the latter stages. Angharad James’ in-swinging corner forced Ella Rutherford to clear off the City goal-line before Lucy Graham struck in style just after the half-hour mark, advancing to unleash a strike from 25 yards that beat Kirstie Levell and went in off the post. Rutherford and Julie Biesmans might have given the Vixens a two-goal cushion before they had a major fright in the 76th minute, when Sophie Baggaley made a double save to deny Elise Hughes and Hannah Cain, after which Inessa Kaagman hit the post. Everton had another chance when the ball dropped to James in the box but she hacked her effort over the bar. Biesmans whipped in a free-kick that caused Levell to scramble across her line and make a smart save, while at the other end Baggaley bravely met Channy Boye-Hlorkah’s effort in the 90th minute to keep the ball out of the net. More late drama saw Cain break through on goal only to be thwarted by Loren Dykes.